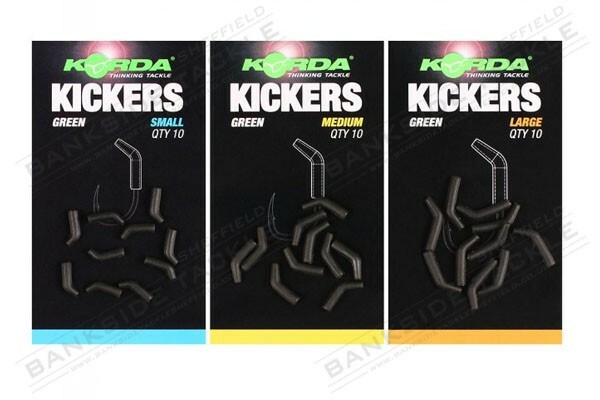 With fishing it can often be the simpler things which can make a real difference, and that is definitely the case with the new Kickers. For years anglers have been adding pieces of shrink tubing and the like to their hooks to help improve rig mechanics and make the hook turn more aggressively in the mouth of a carp and improve the chances of a hook hold. Years ago this was done by using a bent hook, and although very effective they also caused damage to a fishs mouth, so anglers switched to tubing. 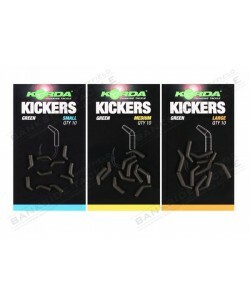 Now these Kickers have taken the hassle out of having to steam and shape shrink tubing to achieve this effect, as they can simply be slipped over the eye of the hook to give the perfect presentation in a matter of seconds. Some anglers look to try and disguise their hook as much as possible, and they will like the green and brown versions which will blend in with most lake beds. But on some waters adding a touch of colour to the hook can produce quicker bites, which is why they also come in a choice of vibrant red, yellow, white or pink varieties. These have already proved very successful during testing when used in combinations such as the yellow Kicker with an artificial corn hook bait. 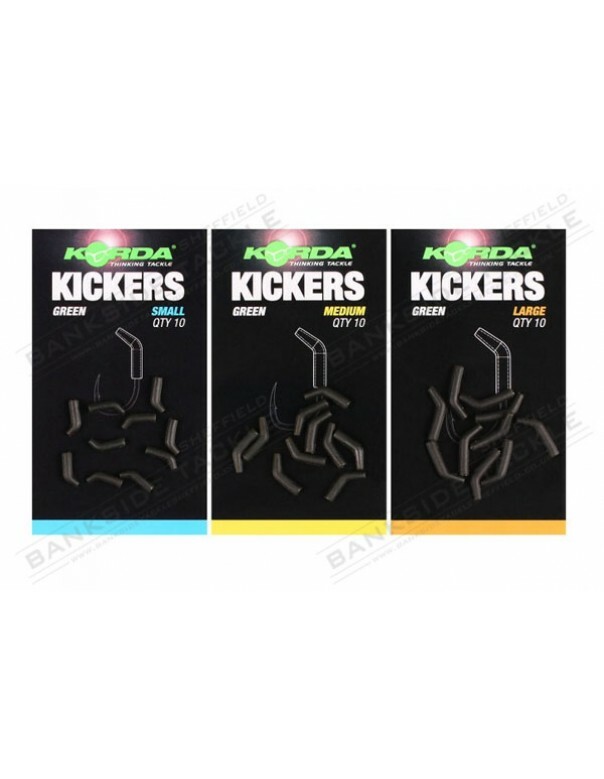 The Kickers are made from a robust rubber which will easily slide over the eye of the hook and hold in place, and when a fish is hooked it straightens but will then return to its original shape afterwards. There are three sizes available, with small fitting size 10-12 hooks, medium for size 6-8, and large for size 2-4.